Want to know what’s going in the northern part of Wake County…lovingly referred to as Wake Forest? Here is a list of upcoming activities found for residents of Wake Forest. Again, this is the 12th annual version of this incredible event first organized in 2007. Last year the department gave out over 800 turkeys! One of the most overlooked set of events in Wake Forest are the incredible parades that are put on. The Fourth of July parade is legendary but so is the one that features the big man in the red suit. Yep, the 2018 Wake Forest Christmas Parade is sure to produce a lot of smiles on the youngsters and even the more “mature” in the audience. The Downtown Development Office is running point this year and they can be reached at 919-435-9416 or lbeadle@wakeforestnc.gov. 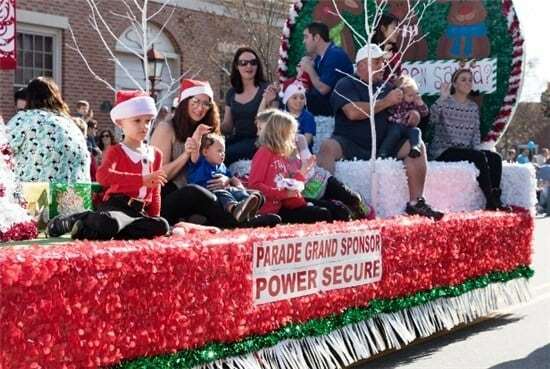 The main sponsor, PowerSecure and the town have selected Saturday December 8 and 1PM for this year’s parade. Want your group to take part in the parade? Applications are available online at www.wakeforestnc.gov/wake-forest-christmas-parade.aspx and at the wonderful Wake Forest Town Hall located on Brooks Street. To apply you must do so by October 29th. Once a decision is made the town will notify all applicants by Monday, November 5. Oh, don’t forget that payment is due at time of entry. Don’t worry, all the information you will need to have a successful entry in to the parade will be mailed to you after you have been accepted. These are just two examples of why Wake Forest homeowners choose to buy real estate in Wake Forest. Owning a Wake Forest Home puts you close to the action. There are festivals, parades, concerts, shows etc constantly available for the Wake Forest home owners to enjoy. team. We love talking “town” with you.